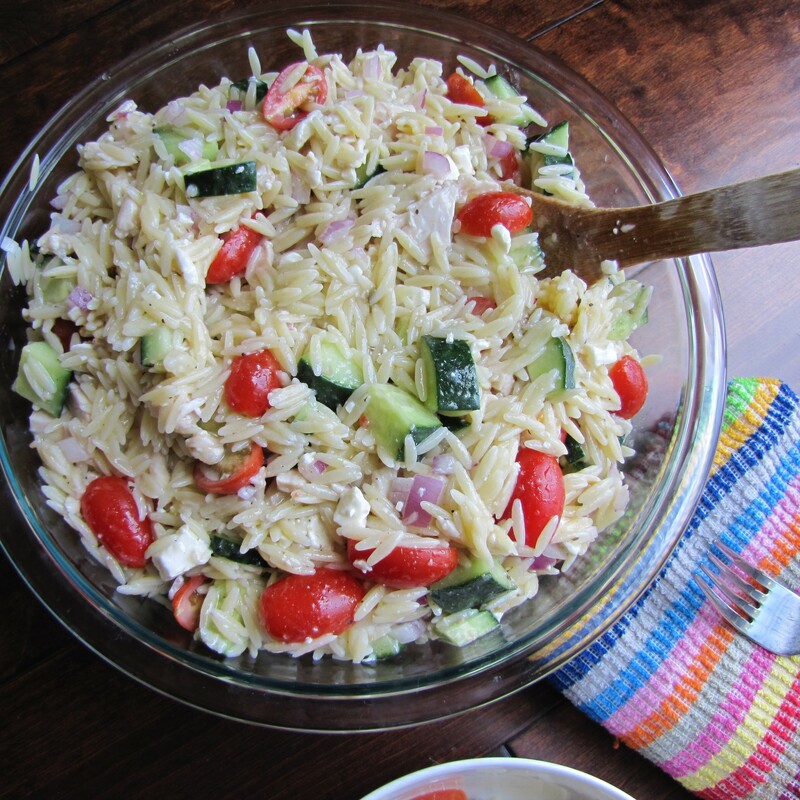 I love to come up with new pasta salad recipes during the summer, and this one is definitely a new favorite for me. It comes together in about 15 minutes, and it is so tasty and delicious. 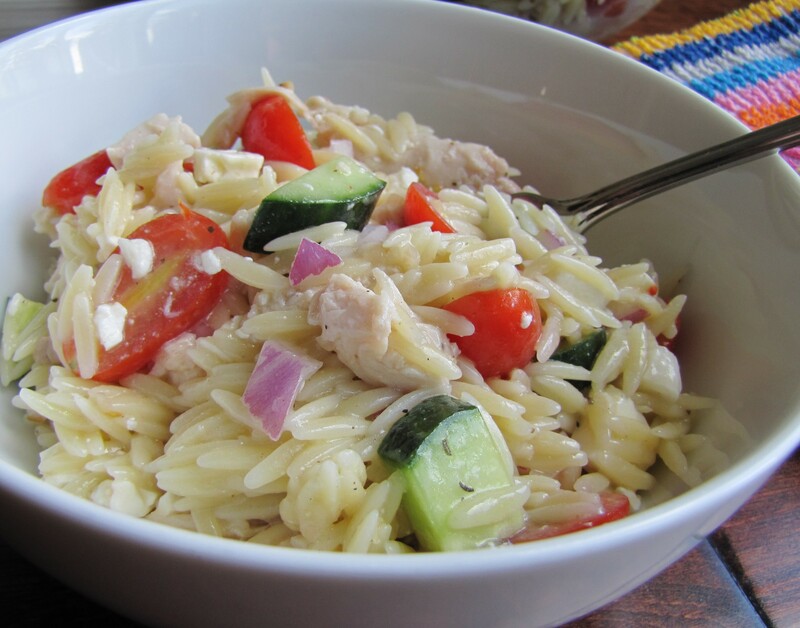 It combines salted orzo pasta with Greek ingredients like cherry tomatoes, cucumber, red onion, and feta, some chicken, and then it is all mixed together with Lighthouse Greek Vinaigrette. Super simple. The best pasta salads always are. Give this one a try this summer. 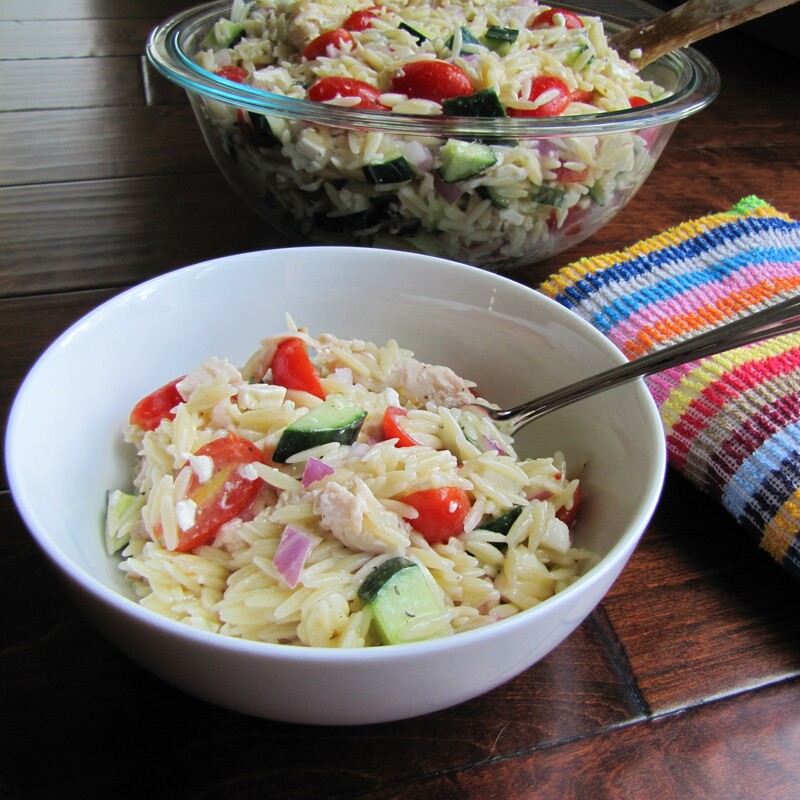 Cook your orzo pasta to al dente in a large pot of salted water. Drain, and set aside to cool. Chop up your chicken, cucumber, onion, and tomatoes, and dump it all into a large bowl with the pasta. Give it a good mix. Add the dressing and mix well. And the feta last, and give it one more light toss. Enjoy! Easy and delicious sounding. I haven’t tried orzo but it looks like it makes a great salad. Corina- if you haven’t tried orzo yet, you must! 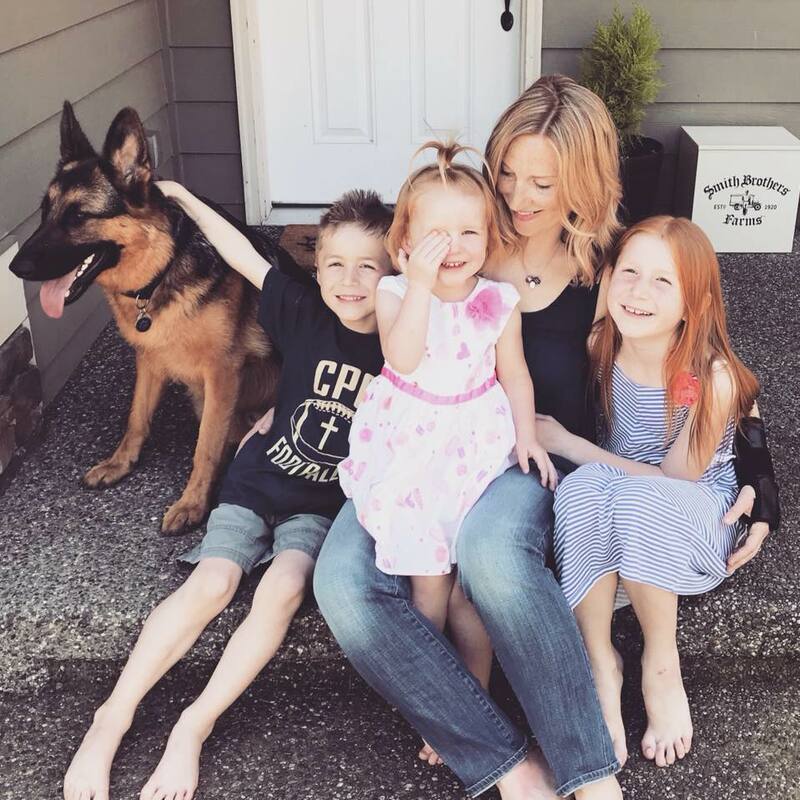 Thanks for the comment and for visiting!